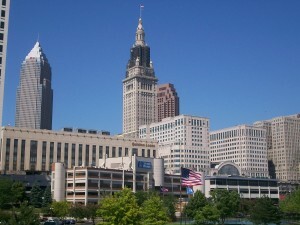 Before long, national attention will be focused on Cleveland’s skyline again. When visitors drive in to the city, will your business stand out? How will your company make an impression on the expected visitors? Is it time for a digital storefront? Could a building wrap be the advertising you need to emerge from all the noise your competitors will be staging? How about actual footsteps or other outdoor graphics leading from the convention to your storefront or restaurant? We have a few ideas we’d like to share even though we are just through the first quarter of 2015. Now is the time to plan and why not test a few new strategies to improve your brand? One study showed that the 2012 GOP convention pumped more than $200 million into the Tampa and Florida economies. That convention drew roughly 50,000 visitors. Those are some very impressive numbers from a fiscal perspective and a brand building one. We’d like to be able to get our message out in front of 100,000 eyeballs – wouldn’t you? Why not think about making a bigger impression than ever before by wrapping your building. You want a way to grab those visitors attention with some amazing quality outdoor graphics? We HAVE the solution for you. And it can be personalized; this is not your average signage. We can actually provide digital storefronts and support your growth without adding any personnel expense on your end. Wall, window and floor graphics are also something that can help direct those new footsteps down to your location. We can design, print and coordinate all the installation for your displays to ensure that you achieve the optimal positioning or corporate brand awareness. 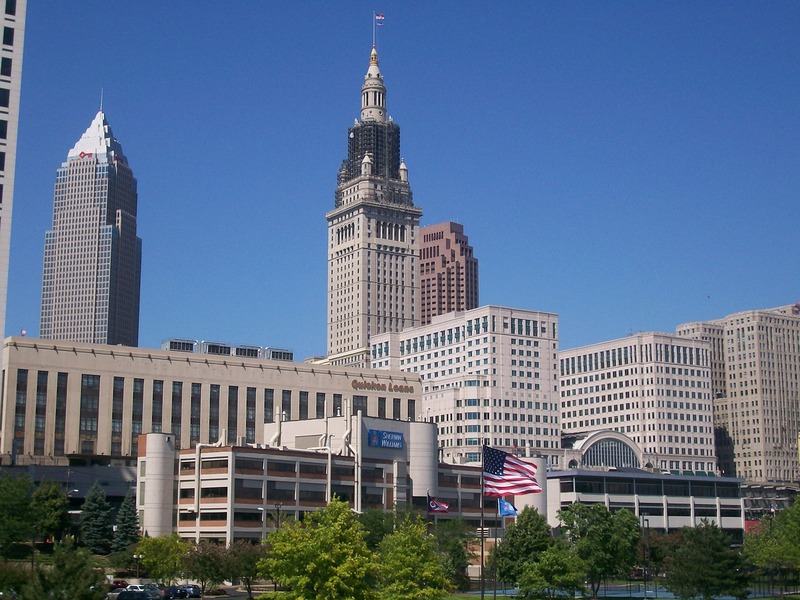 How awesome would it be so see your logo and your colors, significantly displayed on a building wrap in the skyline of Cleveland during this time? I know when I was at a large financial institution, we would light up the building for different occasions, and it was a noticeable change. Why not display your logo and tag line around the top of the building for a couple of months? How cool would that be? I sit here and look at the skyline every day and think that some of the buildings downtown, those without logos on the top, would benefit from this kind of visual support. And with all the selfies and the video shots taken downtown, why not improve your brand awareness and recognition with some of these ideas? I never knew that you could wrap a building either! What’s the big idea you want to see printed in outdoor graphics and building wraps? Let’s discuss and come up with a few designs to get the attention of the national media next summer. Check out more information about large format printing at HKMdm.com or call me at 216-651-9500.